A teen novel and one of the more notable by Sean Beaudoin, this mystery contains a mixture of dry humor, scheming teachers, dysfunctional families, and action-packed pages. 17 year-old private eye Dalton Rev transfers into Salt River High, a notoriously dangerous and cruel school. Set on unraveling the mysterious circumstances surrounding an apparent suicide by a popular senior, Rev must bridge the gap between vicious cliques and work his way around suspicious teachers and bent cops before time runs out. Working an angle, Dalton Rev will make you laugh, cringe, and shake your head in disbelief in this fast paced mystery. This book is an easy read for any teenager. 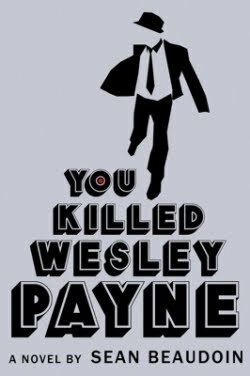 Note* “You Killed Wesley Payne” comes with its own personal dictionary and chart breaking down all the cliques mentioned in the book.